It is a thing understood by classical singers and theatre lovers alike that acting and staging tend to take a back seat in opera, as the music has priority. Eboracum Baroque’s Acis and Galatea somewhat affirms the idea, but considering the young age of the cast we can let the occasionally hammy acting slide. Clearly contemporary is the company’s chosen era, as an amusing group wedding ‘selfie’ confirms. Contemporary, in this case, seems synonymous with casual and this doesn’t translate so well, especially in terms of the chorus’ rather too relaxed presence on stage; they bump in to each other and principal cast members on more than one occasion. I also get the sense that Baksthas given the cast some free reign to make their own decisions about costume.The lack of uniformity is a bit distracting, as is the one male member of the chorus who chews gum throughout Act One. Clearer choices in this area, as well as the choreography, would help to tighten the opening scenes. Having said all that, Act Two picks up the pace with gusto, and the flow between Arias allows the narrative to satisfyingly reach its dramatic peak. The chorus’ movement significantly improves, as seen in their energetic teasing of the hung-over Polyphemus, and ironically some of the trickier scenes to stage are shockingly well done, including the skull-crushing murder of Acis. I especially enjoyed the clever jar of water which not only symbolised the title couple’s marriage union and Galatea’s transmutation of Acis into a river, but allowed the principals to refresh themselves mid-performance. There are some beautiful and touching performances, in particular from Angela Hicks as Coridon, who displays an imploring sensitivity and excellent control in ‘Would you gain the tender creature’. Nils Greenhow as Damon is also a welcome and tender soloist. Gareth Edmunds does the smitten and betrayed Acis very well and his melodic delivery, whilst a little strained in places, sparkles with notably lovely trills. 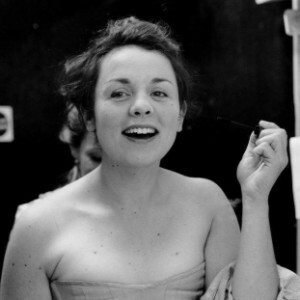 Special mention must be made to Naomi Sturges not only for the nascent power and beauty resonating in her vocal portrayal of Galatea, but also the emotional depth that she brings to the role. I predict an exciting career for this budding singer. All in all, Eboracum Baroque have succeeded in staging a charming little production of Handel’s pastoral “little opera”. The choral singing throughout is wonderful and the small orchestra of period instruments stage right is a lovely, traditional touch in this otherwise contemporary production. Whilst Acis and Galatea highlights the disparity between the company’s musical excellence and occasionally student staging, it also evidences their well-stocked potential. I hope to see them again next year.